Tyler King joined RKF in 2017 as an Associate Director in the firm’s New York office. He specializes in both landlord and tenant representation in the New York metro area. 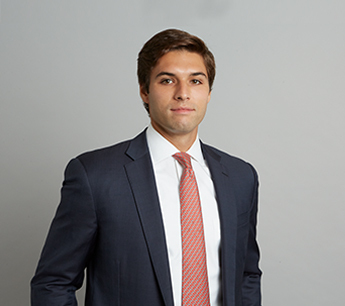 Prior to joining RKF, Tyler was an Associate at Cushman & Wakefield focusing on retail leasing. Among his accomplishments there are arranging a 49-year master lease at 981-987 Madison Avenue on behalf the Carlyle House and a 7,700-SF lease at 77 Fulton Street to Keste Pizza on behalf of South Bridge Towers. Some of his notable owner representation clients are Ashkenazy Acquisition Corporation, Elk Investors, Greystone, The Claremont Group and Related Companies. Tyler has also arranged numerous leases on behalf of tenants, including at 1100 Madison Avenue for Sugarfina, 1091 Madison Avenue for Ovando, 239 East 60th Street for MNDFL and a renewal at 19 East 66th Street for Blum & Poe. Previously he was an Associate in retail leasing with Massey Knakal and Guest Services Coordinator for Ralph Lauren at 867 Madison where, working with sales team and assisting with merchandising strategy, he helped grow the company’s Black Label business. Tyler is a volunteer with Harlem Lacrosse, a school-based non-profit organization that provides academic intervention, leadership training and lacrosse to at-risk students. He earned a Bachelor of Arts degree in Economics and Spanish from Denison University. Tyler is a licensed real estate salesperson in the state of New York and a member of the International Council of Shopping Centers.